Newsletter marketing is back in the spotlight and enjoying popularity among marketers. 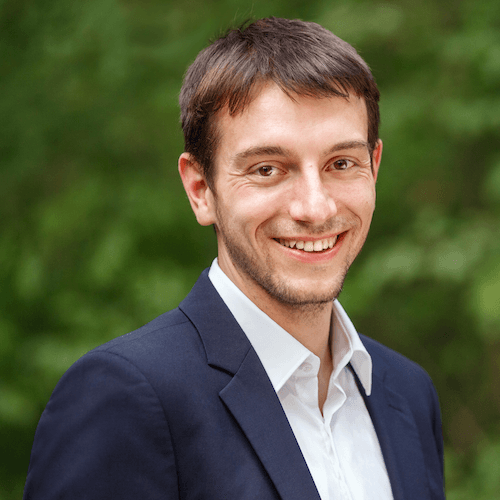 In an interview with The Restless CMO, e-mail marketing consultant Christian Fuchs describes which helpful tips and tricks companies can use to stand out in the digital mailbox and differentiate themselves from the competition. Mr Fuchs, you are an e-mail marketing expert. So our first question is: Which company newsletter do you personally subscribe to and why? Due to my profession I have subscriptions to many newsletters in a wide variety of business sectors, including IT companies, start-ups, fashion brands and companies in the event communication sector. I think it’s exciting to see what the different industries are up to and what is in vogue. Not lastly because I always want to be informed about the latest developments so that I can provide my clients with the best possible advice. In my opinion, you can’t generalize about that. The most important thing is that the newsletter fits to the target group. So the first question here is: is it a B2B or B2C newsletter? This is simply because a newsletter that aims to address parents should communicate differently than a newsletter that aims to sell real estate. As a general rule every newsletter should be compatible with every device. The focus should also preferably be on a specific message. There are too many product newsletters in the ecommerce sector that try to advertise too many products and offer something for all customers to encourage everyone to click. They frequently forget to segment beforehand, which would give the whole thing a more personal touch. From what I’ve seen, many companies either don’t do this at all or don’t do this often enough. Of course pictures work better than text. But when I look at my clients, I can say that this too strongly depends on the industry. That’s why regular testing is also extremely important; determining what works well and what doesn’t enables an immediate response with a relevant solution. What does a successful e-mail marketing campaign look like? Variety is the spice of life, particularly for events like Christmas or Cyber Monday campaigns. Marketers should not send the same content each year or use the same design. After a while it just becomes boring. It’s also a good idea to keep an eye on the competition. For example, much can be learned by observing when they send out their mails. Aiming to send your mails out at a different time to your competitors can be to your advantage. In addition, by conducting sufficient testing, you can determine when and how your company can best reach your target group. The same applies here: the optimal mail transmission time for the gardening industry is different than that of the baby supplies industry. The content should be well-received by the customer. The email is a fundamental trigger element: I send a mail with the intention of convincing the customer that they pay a visit to my site. The final decision to buy is predominantly influenced by the website. It is therefore imperative that companies ensure that their websites and online shops are optimized for mobile applications. Since you just brought it up: How do you find the optimal email transmission time? The best time to send a mail is actually different for every brand. To find this out I would highly recommend analyzing your mailing list in depth. When are the newsletters opened? What gets clicked and when? Even industry statistics play a role here. This information is then clustered, or appropriately grouped together. The result is an increasing number of newsletters that are personalized in such a manner, that each recipient is sent their newsletter at an appropriate and convenient time. How were you able to help companies like About you or JustFab to develop more efficient and successful e-mail marketing? Many big companies are already doing lots of things right. These companies are normally set up differently than smaller B2C shops, which are less active in the digital environment. A digital e-commerce business has a totally different focus right from the start. Lots of analytics are implemented in the background and many apply segmentation before the mails go out. The companies who still don’t do this should definitely head in that direction. What you should not do under any circumstances is apply the watering can principle for e-mail transmission, but rather personalize dispatch according to the results of your analysis. This ultimately delivers better results: First in regard to sales, because customers feel better about being approached in this manner. Secondly, large-volume communication transmissions are also segmented differently by providers. So this point also clearly supports customer segmentation. Generally, when sending a newsletter you should be bold, try things that are innovative and not stick to business as usual. What comes to mind here, for example, is including dynamic content like weather forecasts or using content with local relevance. This is still quite rare. But those are actually the things that interest customers, are very innovative and make you stand out in the crowd. I think that is extremely important. When I look at the multitude of e-commerce or fashion newsletters, one looks very much like the next. Many newsletter promotions are even sent out in a variety of designs, without losing the corporate identity. For whom does email marketing make sense and how can it be successfully launched? This completely depends on the target group. Of course there are businesses where this doesn’t make sense at first: the retailer or greengrocer around the corner is probably not prioritizing their email marketing. Distributing flyers in the neighborhood as a trigger element is probably more sensible. 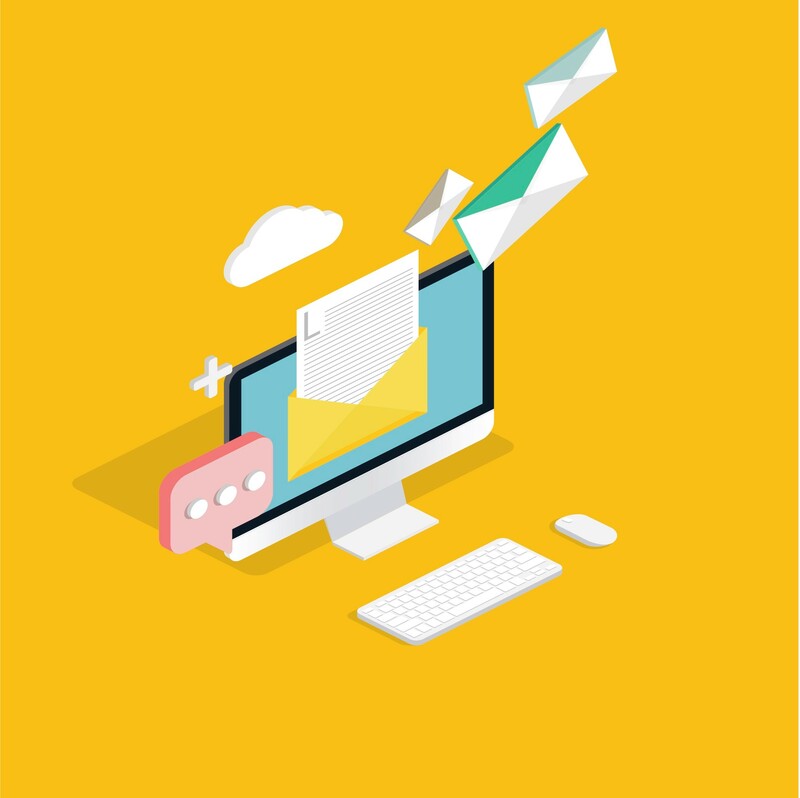 But in those areas that focus on online bookings or communication in the event, exhibition or customer segment, personalization works better – and so does the use of email newsletters. One basic rule should always apply: there should always be a message. If there isn’t, it’s not worth the effort. Newsletters seem to be experiencing a revival among media professionals – have you also noticed this on the corporate side? I definitely see a trend moving towards the curated newsletter. These offer the reader an excellent range of selected information, which is helpful and sensible in times of information overkill. Many people don’t want to busy themselves searching for information; so a newsletter that has done that job for them is a good medium to remedy that problem. Companies are also following this trend and often use newsletters as an additional channel to reach business partners and share their content. What can companies learn from successful newsletters created by media professionals? Well, I do think that you should watch the competition. And I don’t mean that just in regard to your own industry. It is always to your advantage to identify things that you aren’t doing yourself and to recognize what works and what doesn’t. Let me give you an example: a while ago there was a boom of putting emoji content in the subject line. At the time, many companies joined this movement and extensively integrated emojis in every subject line. But when you looked at your mailbox, the desired effect was gone in an instant. When everyone started doing it, interest was lost. Not to mention that subject lines in emoji-design are not right for every type of newsletter. I would recommend the targeted use of emojis – on a special day or for a special offer – to make them interesting again. Once again, the idea is to keep track of your own target group and see if this medium fits to it and how it responds. How about gazing into the crystal ball: What do you see in the future for email marketing in the coming years? Will the WhatsApp newsletter be replacing the email in the long term? The email has already been pronounced dead many times and yet it’s still around. If you ask me, there’s a very good reason for that! It’s a good medium which is frequently used to share information. I think it will be around for a long time to come, particularly for communication with customers in the ecommerce segment. It’s only natural that companies like trying out chatbots, KI, WhatsApp and all other possible methods of communication. But they are only suitable for certain types of customer communication. Today customers no longer call the customer hotline, they write back and forth with a chatbot. But communication with the intention of recommending new offers to the customer still functions better via mail, which can be designed to include lots of pictures. If I think about receiving ten pictures with texts back-to-back on WhatsApp, it’s annoying. There’s still plenty of catching up to do, especially in the B2B segment. Unlike end consumer communication, this area is still being neglected. This is where I see a great deal of development potential. Christian Fuchs is IT expert, #emailgeek and has a Bachelor of Science in Business Informatics. At fuchs+wald, he provides consulting and implementation services with a focus on e-mail marketing, marketing automation and customer relationships. In cooperation with a specialized network, “wald”, he provides his expertise to major retail enterprises, companies in e-commerce, travel and other industries, start-ups, solopreneurs and agencies.